We offer exterior house detailing service Charlotte residents want. 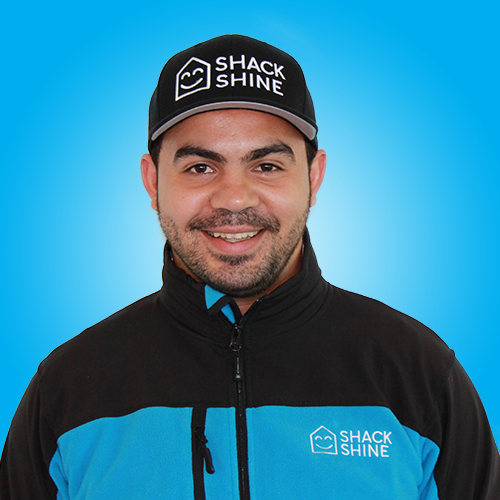 When it comes to exterior house cleaning services in Charlotte, count on Shack Shine. Our team is dedicated to providing you with outstanding service and a friendly smile. Enjoying a clean home is important to you, but you’re busy. Our team will handle all of your Charlotte house detailing needs for you, freeing up your weekends for something more enjoyable. Our team customizes services to fit your needs. In Charlotte, our exterior house cleaning service is available to scrub your windows clean. We handle both interior and exterior windows, and we wipe down the frames and screens, too. When you use Shack Shine for your window cleaning, we’ll arrive on time with carbon fiber, water-fed poles to scrub your windows clean. There is no need for a ladder using our safer method. 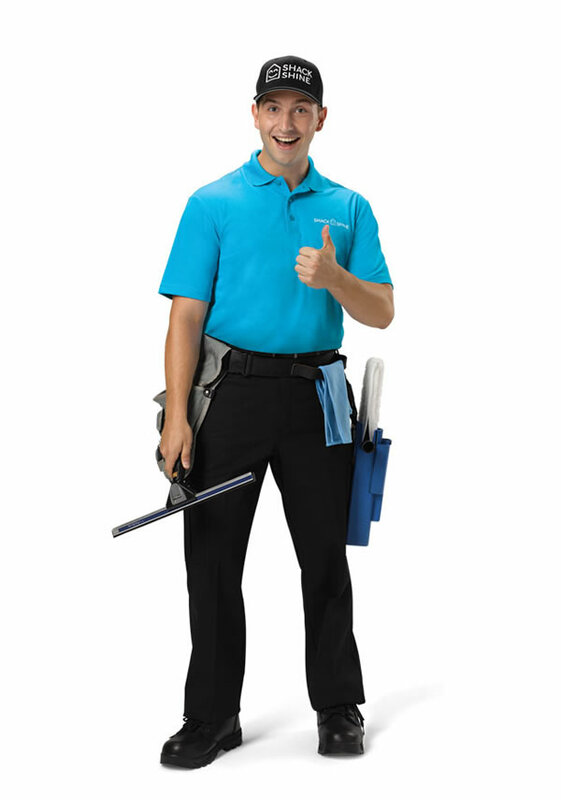 Shining home, smiling family – it’s what we believe as we save you time keeping your windows clean. Keeping your gutters clean is critical. It ensures water can safely flow away from your home and foundation. Shack Shine’s gutter cleaning service is focused on ensuring you never have to put your hands into the gutters again. We use high powered vacuums to extract all of the debris within the gutters. We’ll rinse them clean and wipe them down, too. As your house detailing service in Charlotte, we are committed to impressing you. And, your home will love you. Scrubbing the debris and built up mildew on the exterior of your home doesn’t have to mean giving up your weekend. Shack Shine’s well-trained technicians will use proper power washing methods to strip down the debris, creating a like-new look in no time. A home so bright, you gotta wear shades – that’s what we are aiming for when our friendly, smiling technicians come to your home for house washing services. Cleaning the roof of your home is dangerous work. That’s why you’ll appreciate working closely with the Shack Shine team to get it done properly. With our gentle power washing method, we’ll remove the mold, debris, and mildew buildup on the roof. This can help to extend the life of your home’s roof and ensures a like-new look on most Charlotte homes. Best of all, you do not have to climb on ladders to get the work done. Our team is always on time, and ready to make your home shine. Charlotte exterior house cleaning service is not complete without a bit of pressure washing. Using high-tech systems, we are able to pull away all of the ground in dirt and debris on your driveway and remove all of the build-up that occurs on the patio, deck, and even your outdoor furniture. We encourage you to consider house detailing in Charlotte that keeps all of your exterior surfaces bright, shiny, and enjoyable. Christmas light installation can now be a hassle-free experience. Shack Shine is proud to provide you with our Christmas light installation service. We offer commercial grade lights in a variety of colours and shapes to best suit your home. We’ll install your custom designed Christmas lights to fit your roofline, landscaping, fences, windows and Trim. During the season, we will return to fix any burnt out lights. At the end of the season, we will come and take down the lights. Hello, my name is Ibrahim Alnawateer and I grew up in Jordan. I moved to North America when I was 16 and ended up loving it here. For the last 10 years Charlotte has been my home. I came from a large family which shaped me to be very family oriented. In my spare time I enjoy spending time with family and friends, exploring the outdoors or playing volleyball. I went to UNCC and majored in biology, but I’ve somehow ended up in the home services business. Prior to joining Shack Shine, the house detailing concept was very foreign to me. I think it’s a unique space and I’m very excited to introduce the Shack Shine experience to the Charlotte home owners.